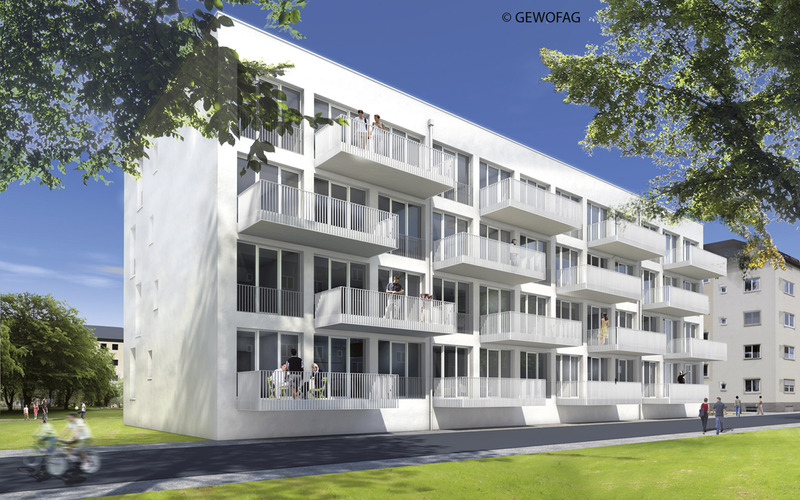 With 35,000 flats, GEWOFAG is Munich’s biggest lessor. For over 80 years, it has been providing the citizens of Munich with living spacesat affordable prices. Those include government-funded and privately financed flats as well as “München Modell” flats (city-sponsored flats for families with medium incomes). On 1 January 2010, GEWOFAG be­came a 100-per-cent subsidiary of the state capital Munich. GEWOFAG Holding GmbH bundles the central tasks of controlling, managing and financing. The operative business is shared between GEWOFAG Wohnen GmbH and four other subsidiaries. The entire group employs a staffof about 630. Besides letting and building new rental flats, one key focus of the group is on modernising. GEWOFAG counters climate change by means of a large-scale programme for the future, pursuing energy modernisation of older buildings. It is aimed at improving energy standards and goes much further than mere main­­tenance. In the next ten years, 200 million euros will be invested in renovation. Renovation of the Friedenheim settlement on Fürstenriedstraße. Through neighbourhood development, GEWOFAG assumes social and ecological responsibility. Many of the dwelling units are located in continuous settlements. For those neighbourhoods, extensive ren­­ovation measures have been planned through 2020. The goal is to make those settlements more attractive and to pro­­­vide long-time as well as new tenants with a family- and senior-friendly living environment. This sparked GEWOFAG’s “living in the neigh­­bourhood” project. Through pro­­fessional care and assist­­ance, the project ena­­bles inhabitants to live an inde­­pendent life within their own four walls. For its neighbourhood de­­­­vel­­op­­ment around St. Pius square in the districts of Ramers­­dorf and Berg am Laim, GEWOFAG earned the federal award “Social city 2010”. Through a multifaceted trans­for­ma­­tion programme, flats and dwellings for young families as well as older tenants were created there in co­­op­­eration with partners. 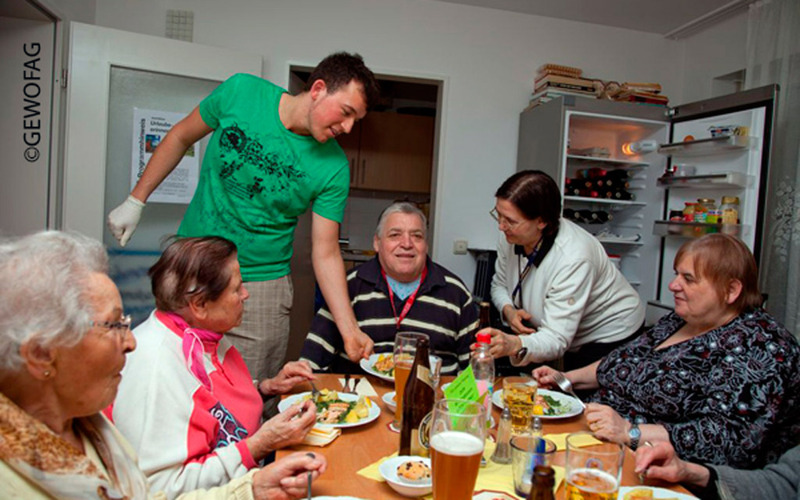 Living in the neighbourhood: care and assistance round the clock. Comprehensive advice tops off GEWOFAG’s range of services. 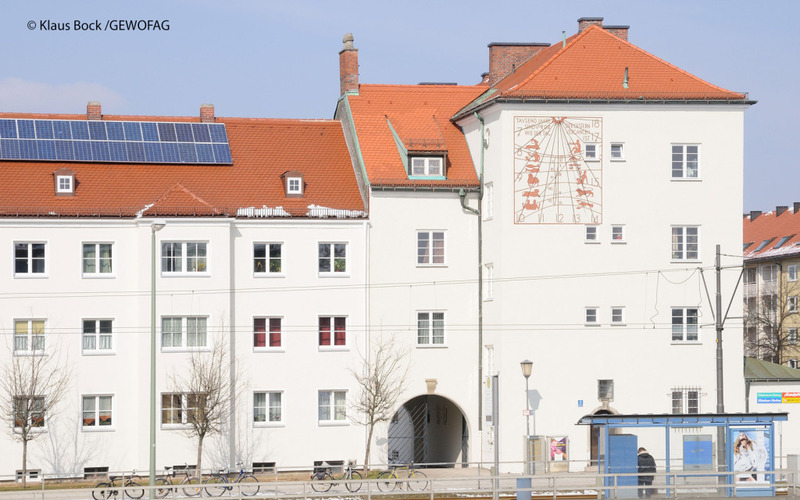 Five tenants’ centres in the districts of Ramersdorf, Giesing, Sendling­/Laim, Neu­hausen and Riem/Tauf­kirchen pro­­vide assist­­ance with all accommo­­dation-related matters.